The 1979 Montana Legislature established the Reserved Water Rights Compact Commission (RWRCC) as part of the state-wide general stream adjudication process to negotiate settlements with Montana Indian tribes and federal agencies claiming reserved water rights within the State of Montana. the State, its people and the federal government claiming non-Indian reserved water within the state (MCA 85-2-703). 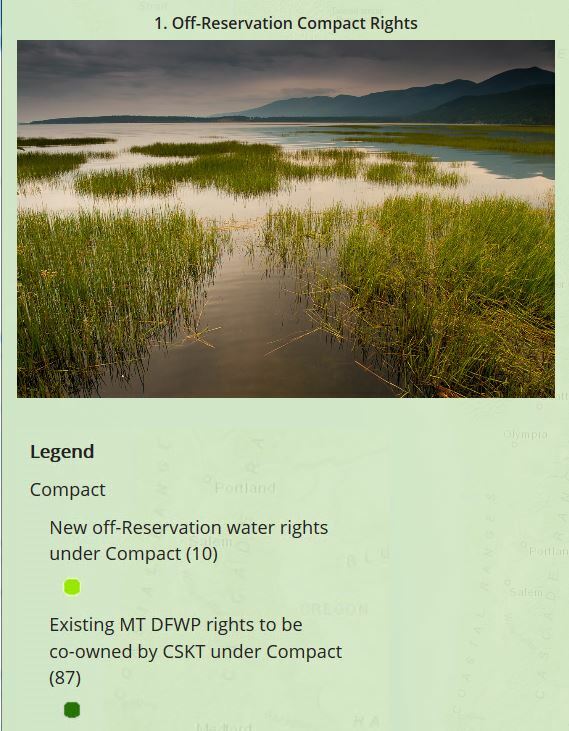 Eighteen reserved water right compacts have been negotiated and ratified by the Montana Legislature including seven Montana Indian reservations, national parks, forests and wildlife refuges, and federally designated wild and scenic rivers. Citizen participation was an essential element of each settlement negotiation. It ensured the RWRCC’s deliberations on Montana’s behalf addressed the concerns of the public and incorporated legal solutions to water use problems. Public meetings were held throughout each negotiation process and further opportunity for public comment existed when the settlements were presented to the Montana Legislature for approval.